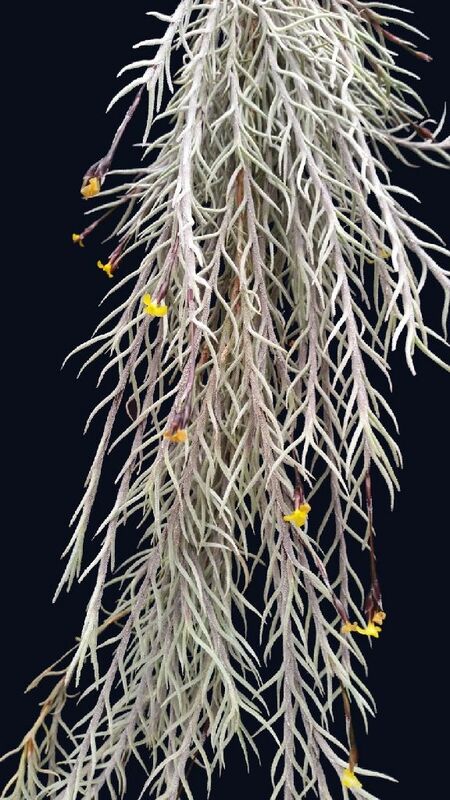 From BCR "Caulescent form of T. capillaris with distinctive splayed silvery grey-green leaves and yellow flowers. Wild-collected and named by Paul Isley, probably in either Argentina or Peru in the 1980s." Chris Larson. "Another diaphoranthema. T. capillaris Pitchfork from Rainforest Flora. A really neat form. We got a couple of very close looking forms of this plant though they may end up looking identical in time. Some of them are fairly rigid and grow upright. This one is lax and hangs down. It doesn’t try to turn itself upright."